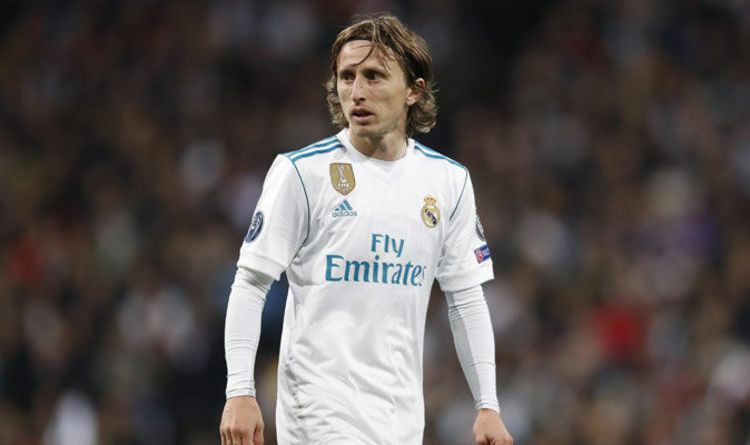 According to a report in the Express, Arsenal are lining-up a shock swoop for Luka Modric and the Real Madrid midfielder is understood to be open to the idea of moving to the Emirates. Modric has been one of the best central midfielders in Europe in recent years having helped Madrid win a number of trophies including three Champions League’s. However, the Express claim the Croatian international wants to move back to the Premier League at the end of the season as Zinedine Zidane begins to revamp his squad following a disappointing campaign. The newspaper cites a report from Diario Gol that says Arsenal have joined Liverpool in showing a keen interest in signing Modric if he’s allowed to leave the Bernabeu this summer. We’re expected to be in the market for a new central midfielder as Jack Wilshere is yet to sign a new deal, Aaron Ramsey has just over a year left on his contract while Granit Xhaka has been a poor signing. So we need to rejuvenate our options in the middle of the park and Modric would be a sensational addition but given he spent four years at Tottenham, my initial feeling was he wouldn’t even contemplate joining Arsenal. However, Diario Gol claim that Modric is in fact in favour of joining Arsenal over Liverpool as he loves London and knows the capital well following his time at White Hart Lane. So, if true, it seems the 32-year-old has no loyalty towards Spurs and is prepared to tarnish his time at the club by joining their fierce north London rivals this summer. Personally, I’d love to see Modric join us as he’s a class midfielder but I’d take these reports with a large pinch of salt as Diario Gol aren’t the most reliable source in Spain. So I’d wait for something more concrete to come out before getting too excited.